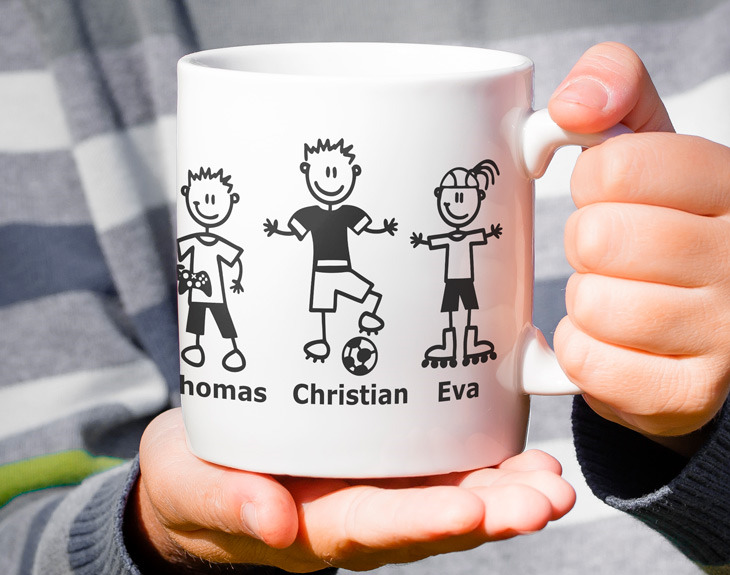 Pick a character for each member of the family, give the names and you will get a unique and unrepeatable mug. Thermosensitive mug. What does that mean? 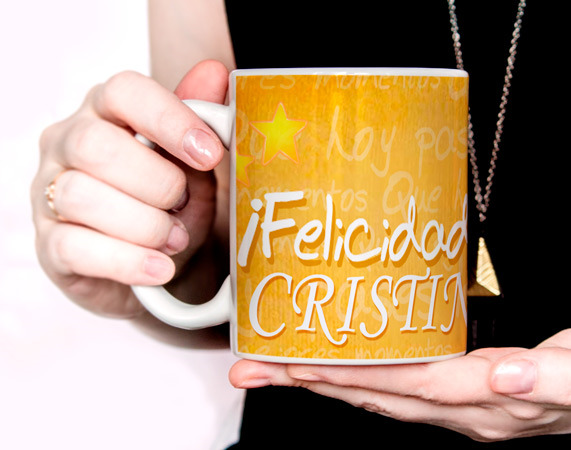 That means it is a black mug, but it will reveal the image or the message you want only by pouring hot liquid. 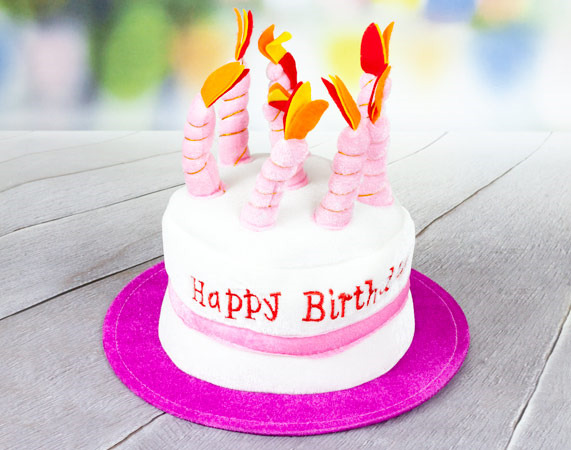 Fun hat-shaped birthday cake, perfect to make that special day even more beautiful. 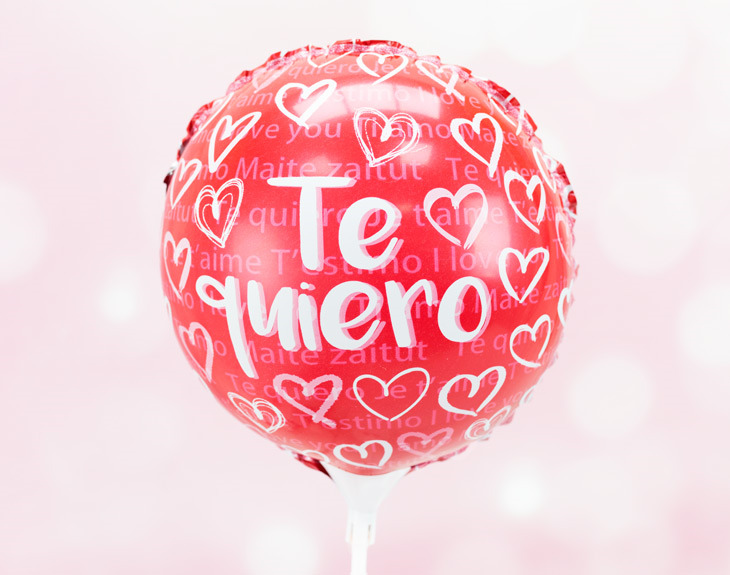 Personalized 23cm-balloon with the text you want. 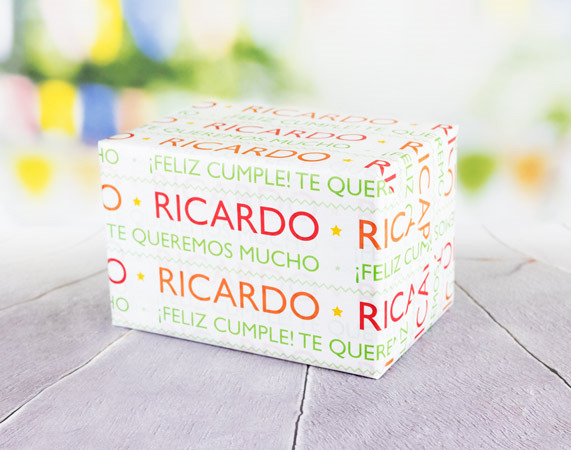 It will make the difference between a good gift and an unforgettable one. 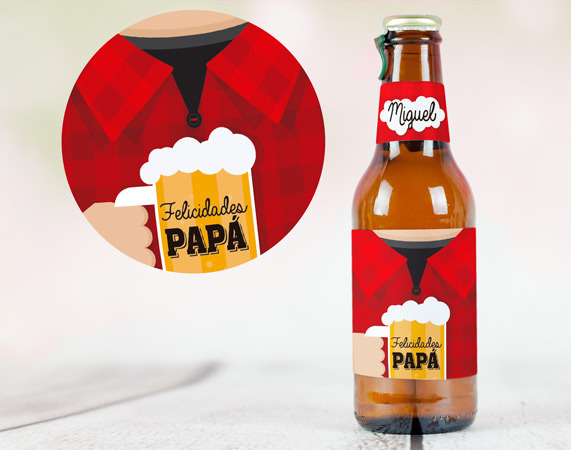 A 25cl beer-bottle personalized with your dad's name. A slight touch that will make a difference. 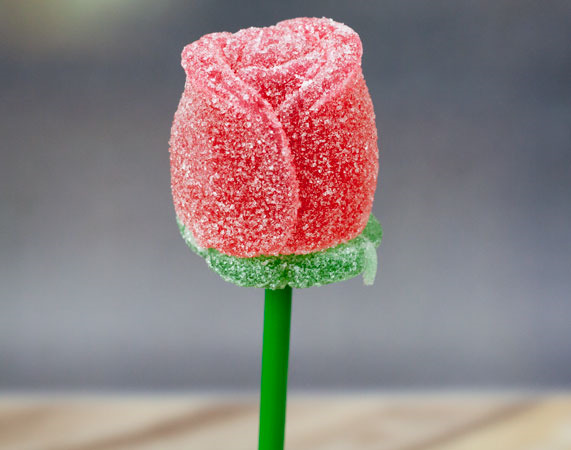 The sweetest of roses. 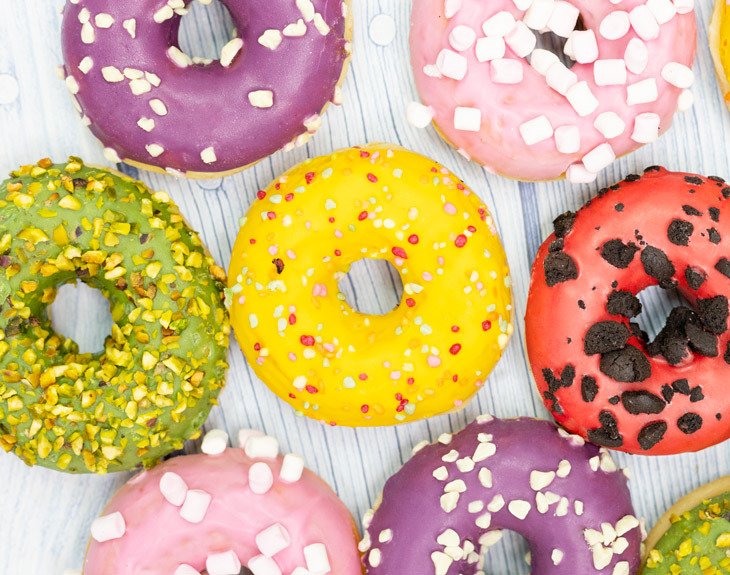 A lovely detail that will sweets lovers captivated. 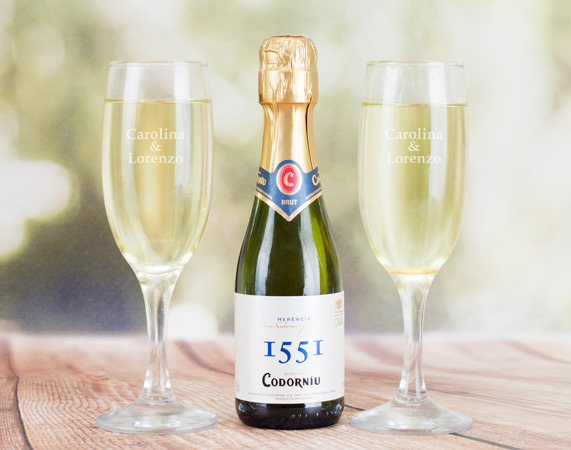 There is no better way to say "Congratulations" than personalising this bottle's label with the year and a name. 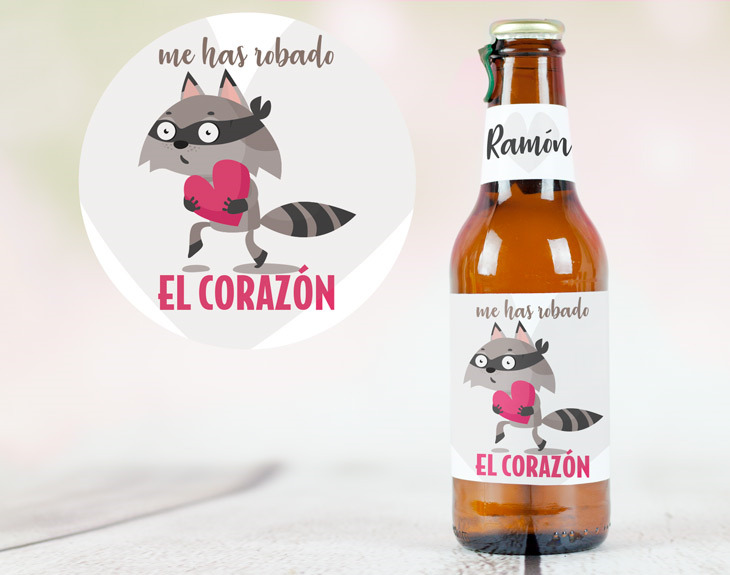 Pink beer bottle, personalized with the year of birth and the name of the person honored. Toblerone chocolate bar with personalized wrapping. 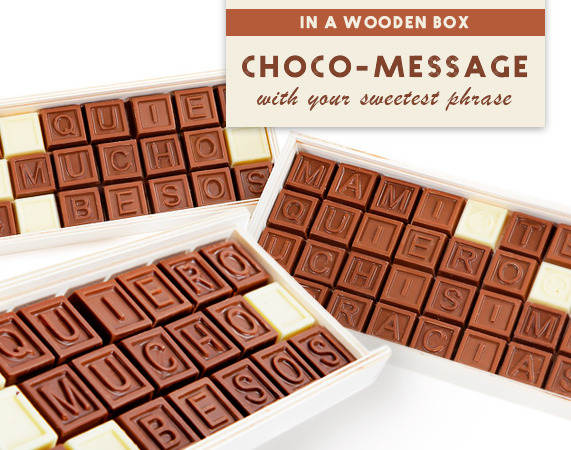 Perfect for someone who loves chocolates. A fashionable keychain: a soft pompom that will always make you want to take your keys out of your pocket. The Sacher-cake is simply delicious: Made of chocolate with a thin inner layer of apricot. To make it even better, we add birthday candles. 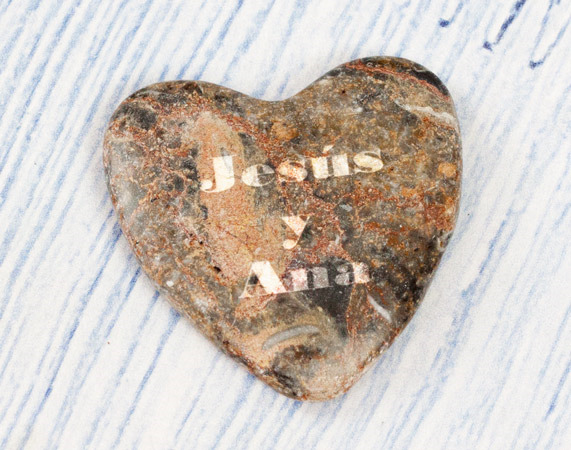 A carved white heart-shaped stone turned into a key ring, so that he/she always remembers you when getting home. 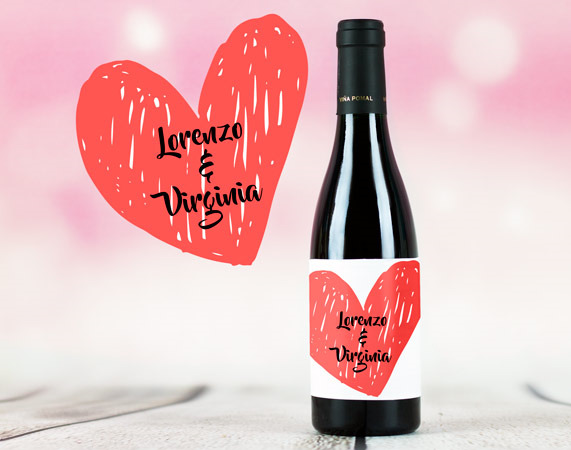 Bottle of wine with personalized label with heart and your names in between. 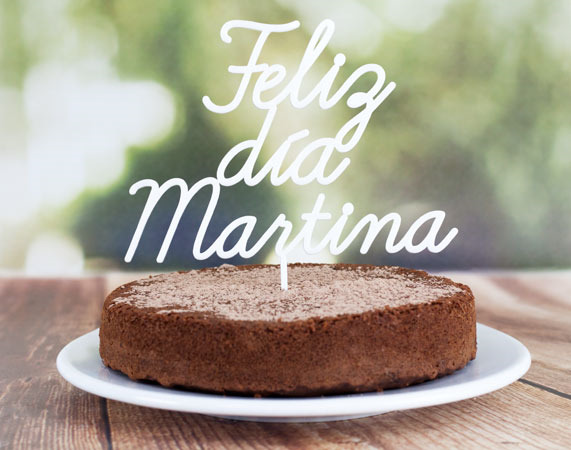 Delicious Sacher-cake topped with a personalized cake topper. 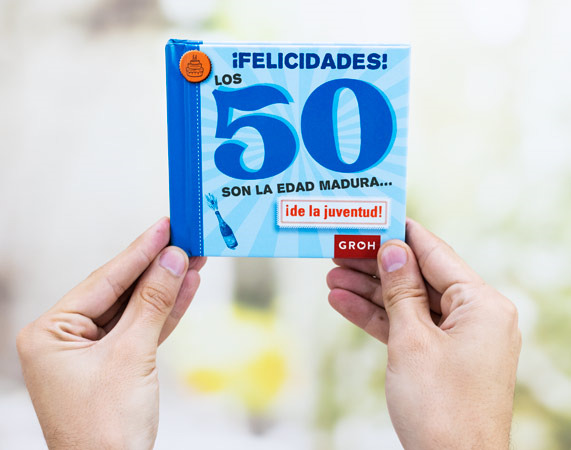 For the most select birthday parties. 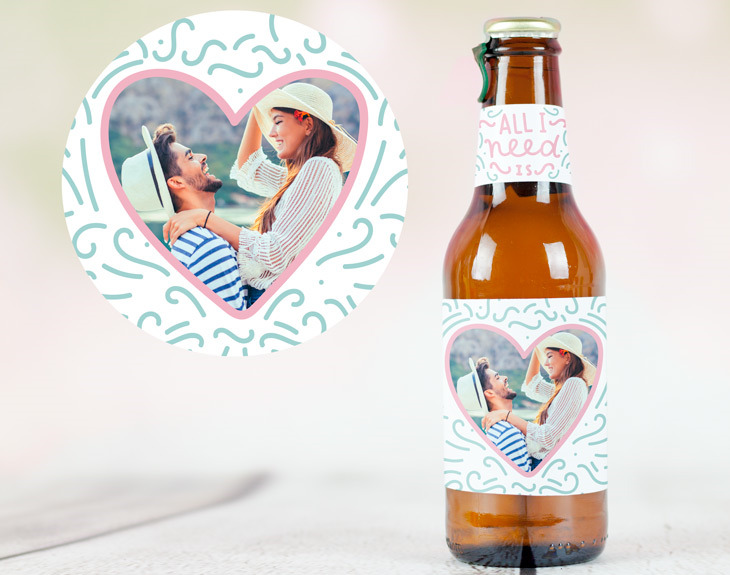 A custom beer intended to surprise your mom on any occasion. If she likes beers, she will love this gift. 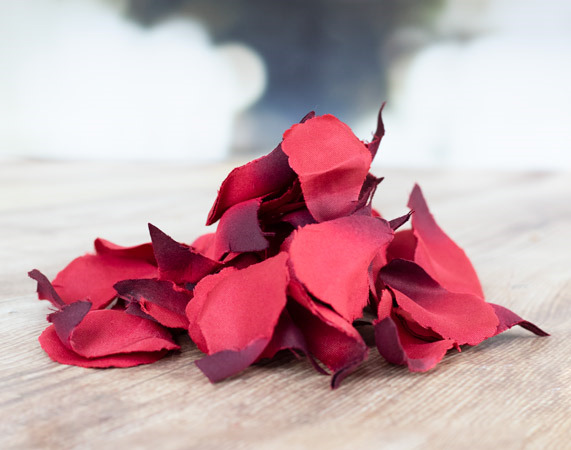 Soft synthetic rose petals, perfect for adding a romantic touch to your gift. Custom wooden bottle holder. 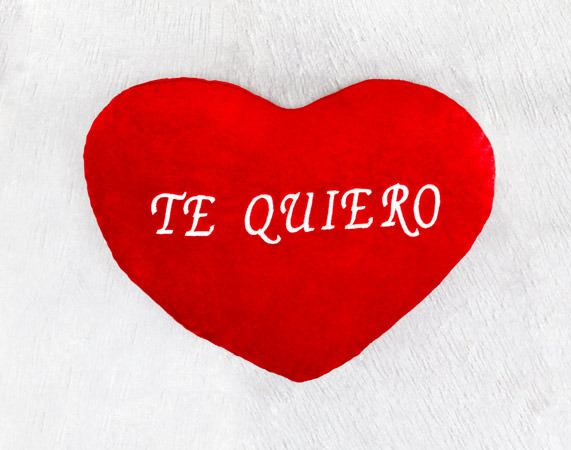 One of the hearts would be engraved with the text you want. Personalized diploma, awarded to the best mother. 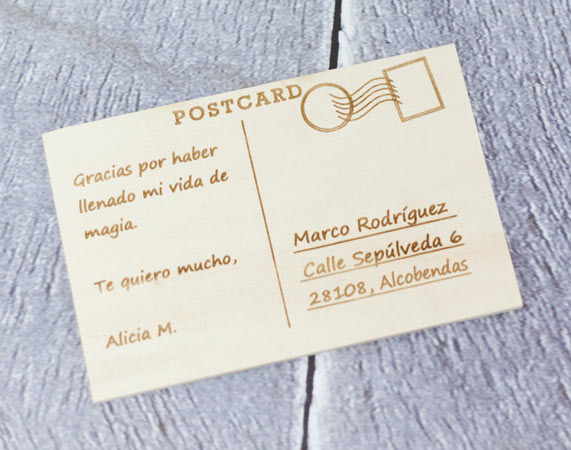 You can even add your name and some beautiful words on it. 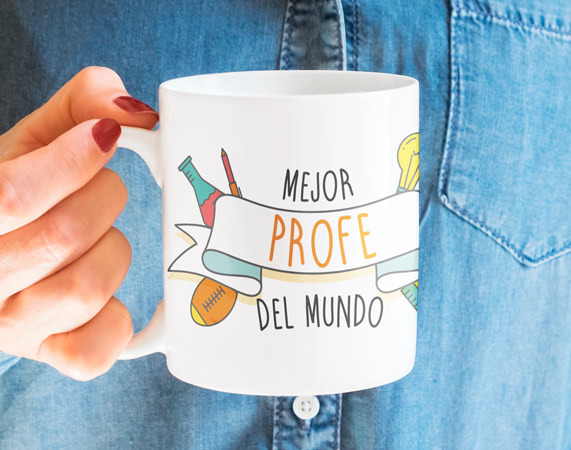 Mug for the best teacher in the world. 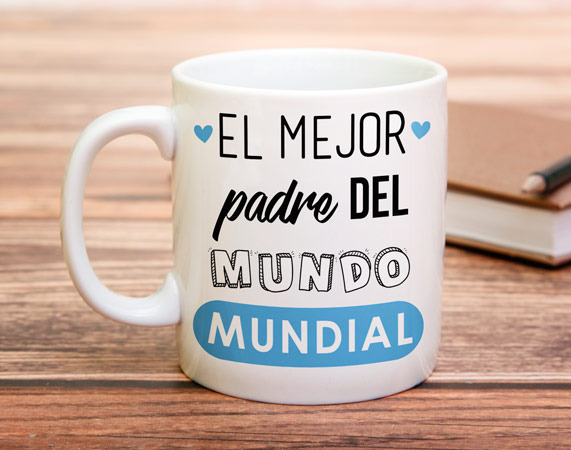 There is nothing that excites a teacher more than a cup telling him he is good. 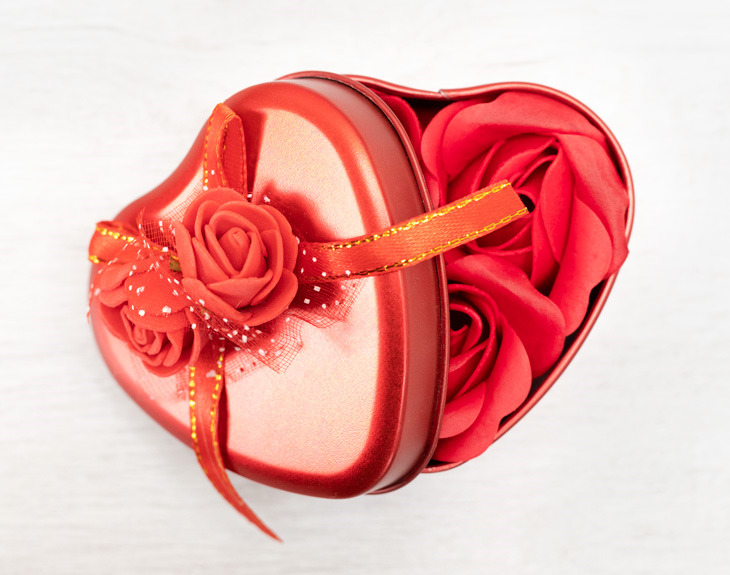 A pot with 36 heart-shaped candies to form the word LOVE and surprise your dear ones. Locks symbolize eternal love. 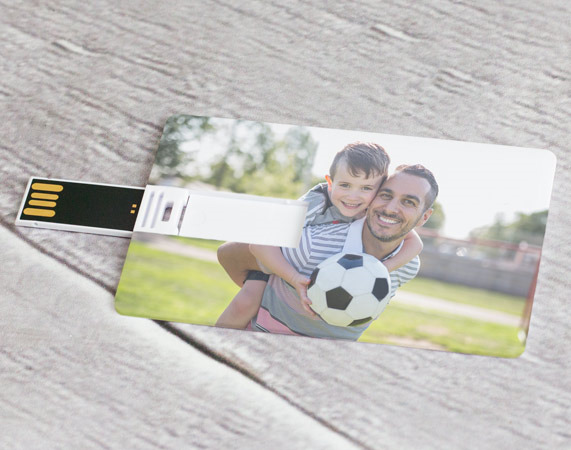 Customize one with your photo, put it on a bridge and get rid of the key forever. 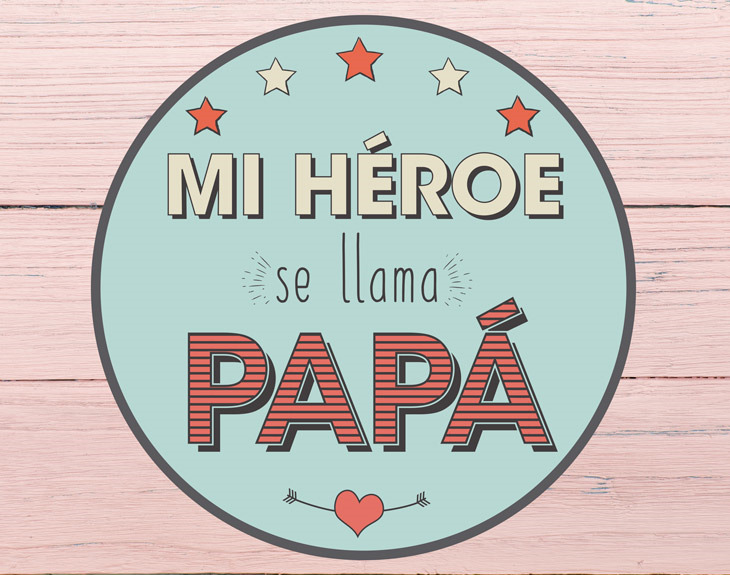 Personalized diploma, awarded to the best father. 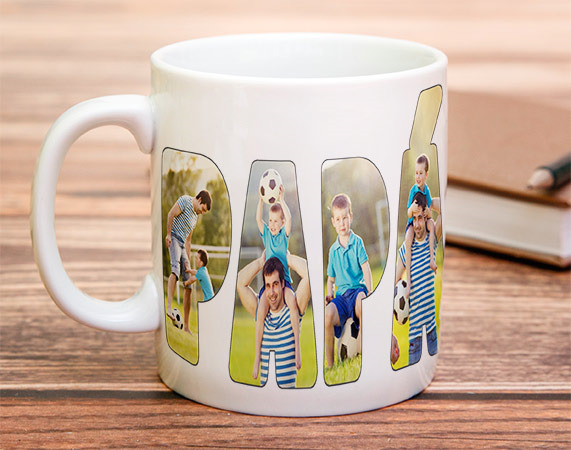 You can even add your name and some deep words on it. Offer a toast! Why not? Two glasses and one small bottle of Champagne. The perfect mix for a special moment. 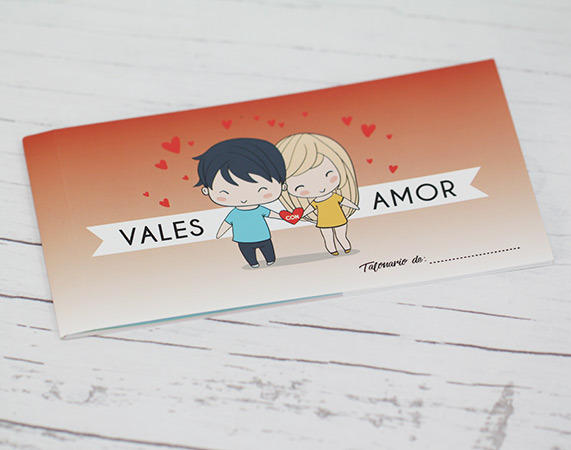 Personalized diploma for that excellent person who is so special to you. 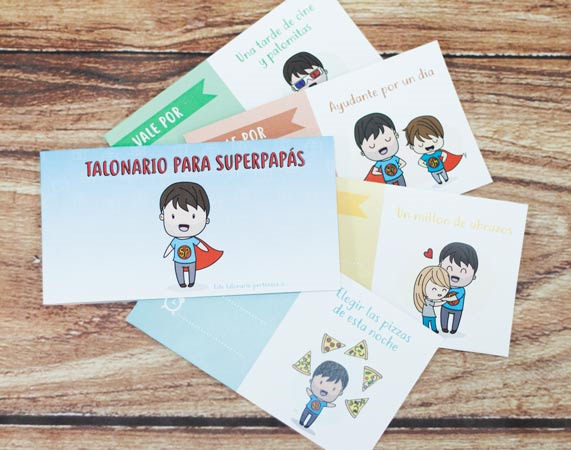 Now you can officially write his virtues. 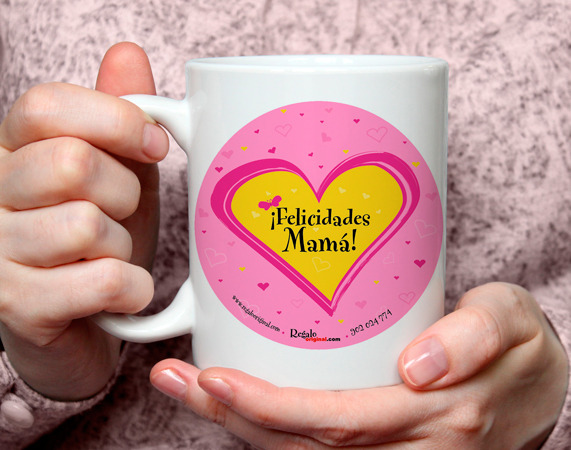 If you want to surprise your mom, try this authentic classic: a breakfast cup ONLY for her. You'll succeed for sure. 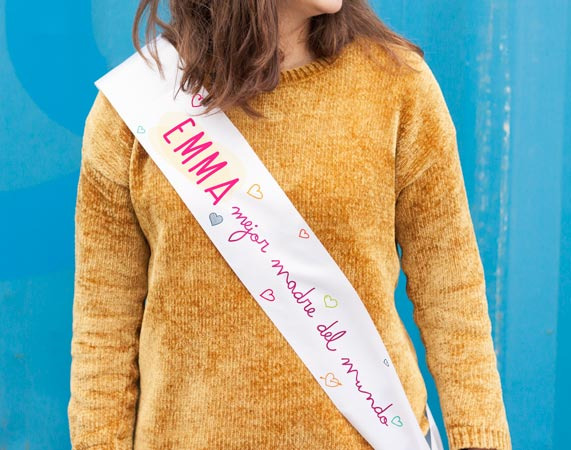 Personalised fabric sash for the best of mothers, yours! White heart-shaped small stone as a way to outstand that small things are as valuable and important. 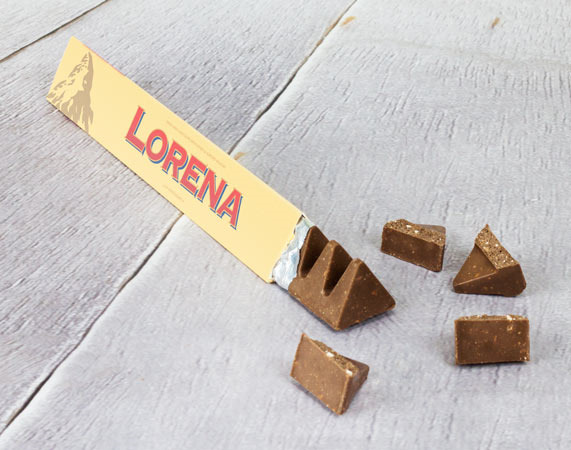 Want to surprise a person somewhat distracted? this mobile holder will prevent his mobile from falling over and over again. 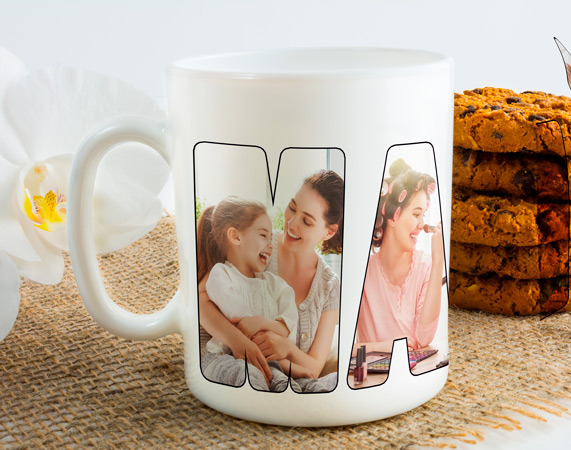 Just because your mother's the best of all mothers, she obviously deserves this beautiful custom mug. She'll simply love it! 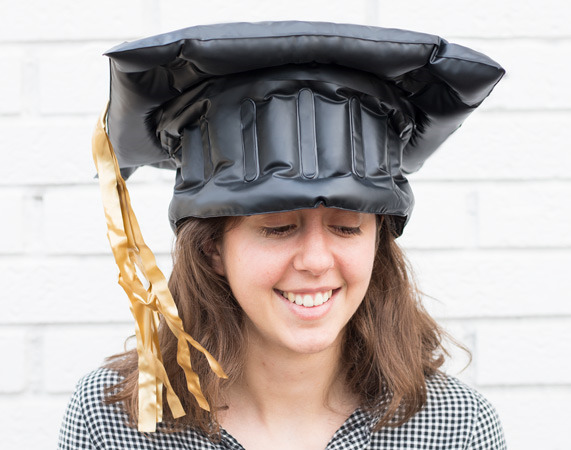 Inflatable Square academic cap: The funniest complement for any end-of-course. Surely it is the protagonist of dozens of photos. 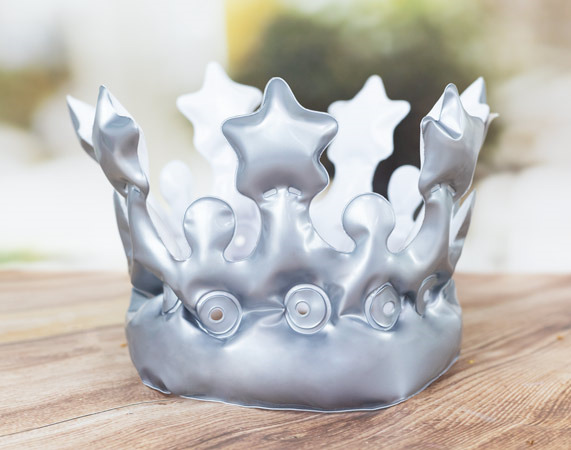 A custom crown for a princess or a prince, the perfect element to attend the most notorious weddings. Muffin made of sweets. 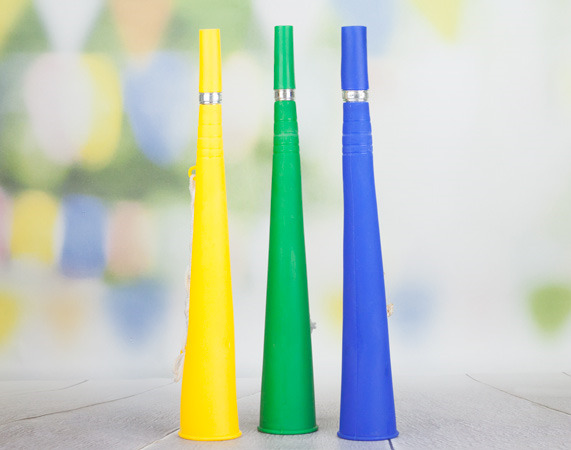 Add more colours and sugar to your gift. Custom Play-Doh Pot. The mythical colored plasticine, now with its name on the packaging. 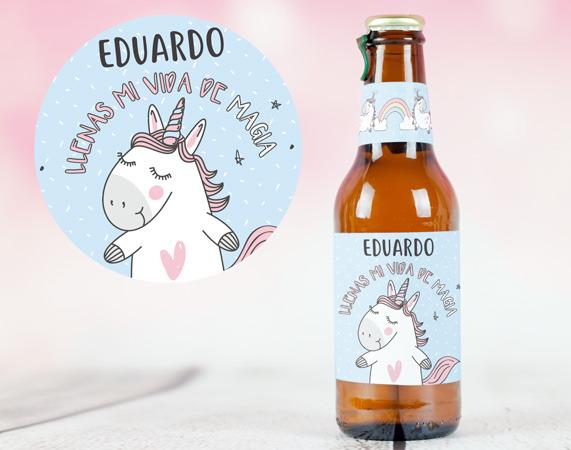 A small beer bottle filled with magic and beer, but fully customised with the name you choose. 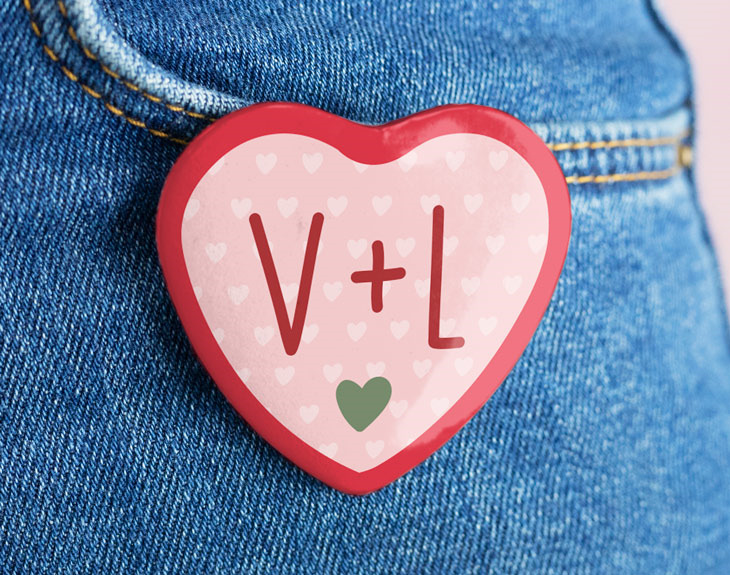 Personalized clip-shaped magnet. 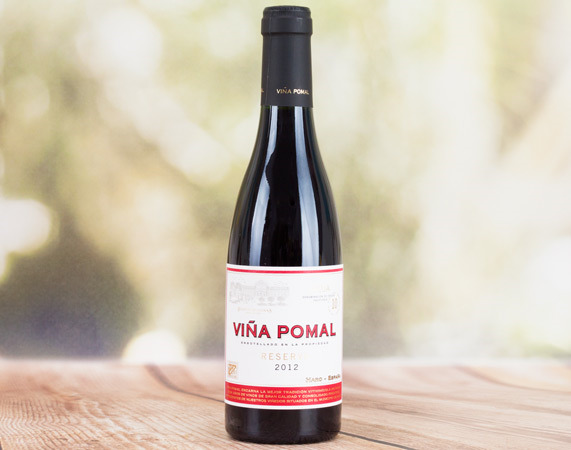 Perfect to have it in the fridge and put there what you do not want to forget. 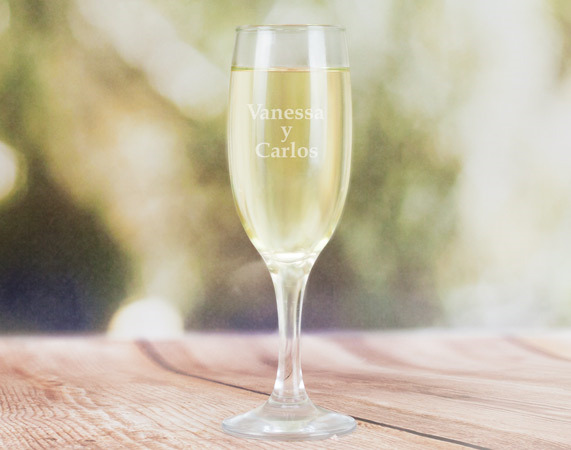 Wine glass engraved with the text you want. Perfect for lovers of the enoculture. Engraved beer jug A unique and unrepeatable gift. There is no brewer in the world who wouldn't like to have his own jug. A two-pieces cutlery (knife and fork) engraved with the text you want. Heart-shaped engraved pendant personalised with the text you choose, creating a unique piece full of sentimental value. 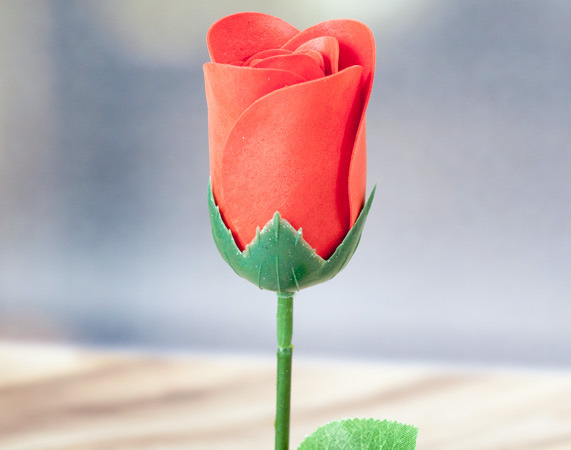 Tiny rose made with feathers. 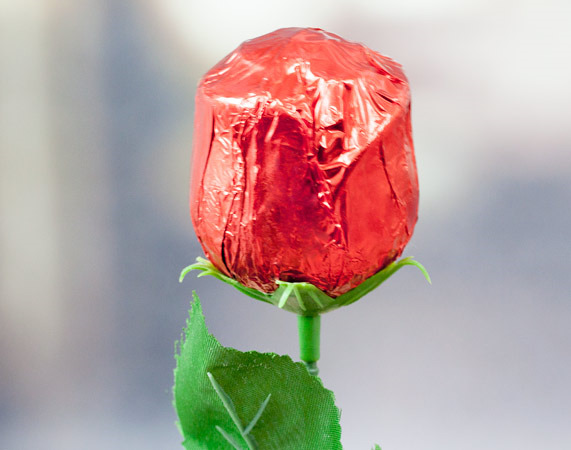 As emotive as a real rose, but really soft and thornless. 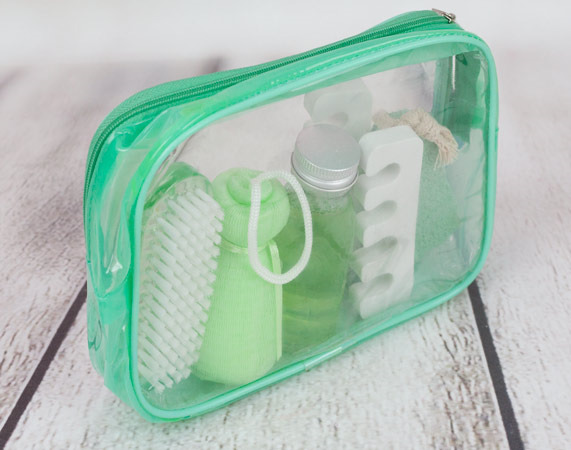 Mini bathtub of aromas with varied first-class cosmetic products. An elegant and perfect touch to take care of your skin. Practical custom bag holder to pick up the dog's poop. 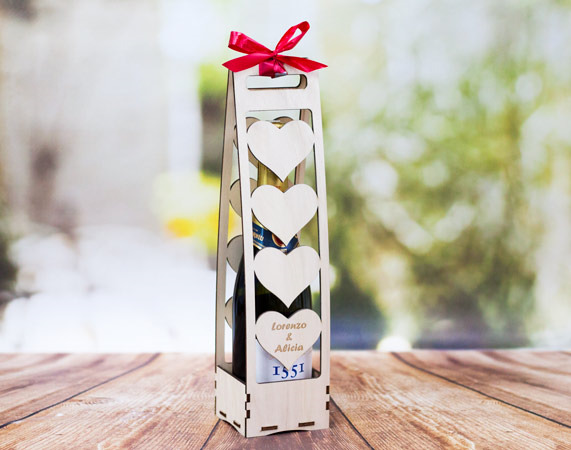 A small engraved aluminium bottle which is perfect to go on the bike or on a field trip. A good gift for athletes. 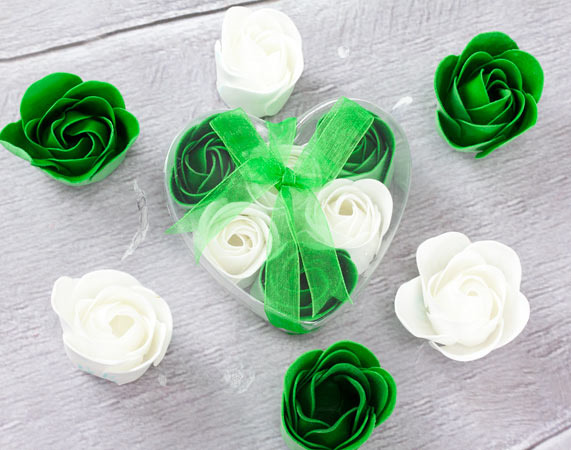 Six rose-shaped soaps elaborated in green tones. Its aroma is very soft, perfect for bathing. 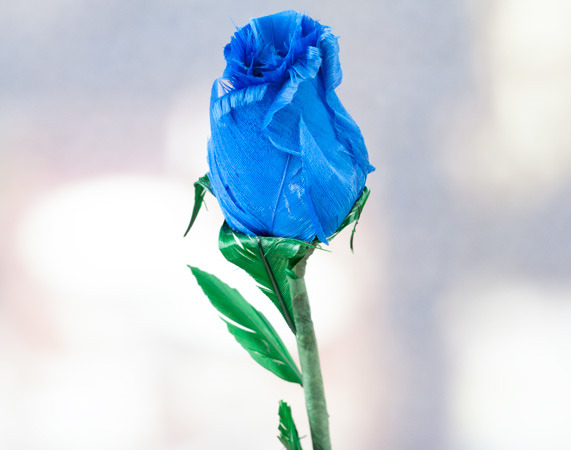 The elegance of a carnation combined with the good taste of giving a personal care product . 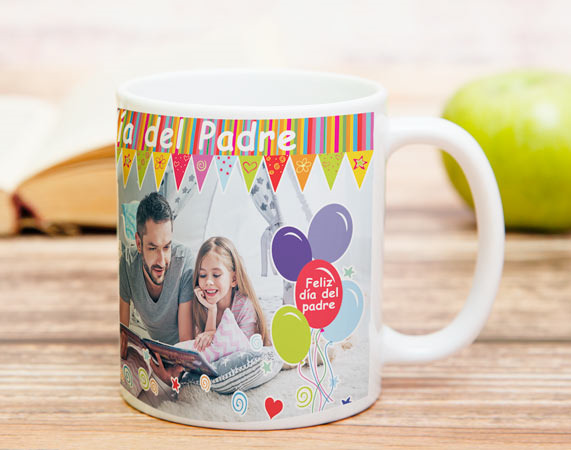 Personalized mug with a blue emotive design inside which you can put the photo you want. Custom colourful hand fan. 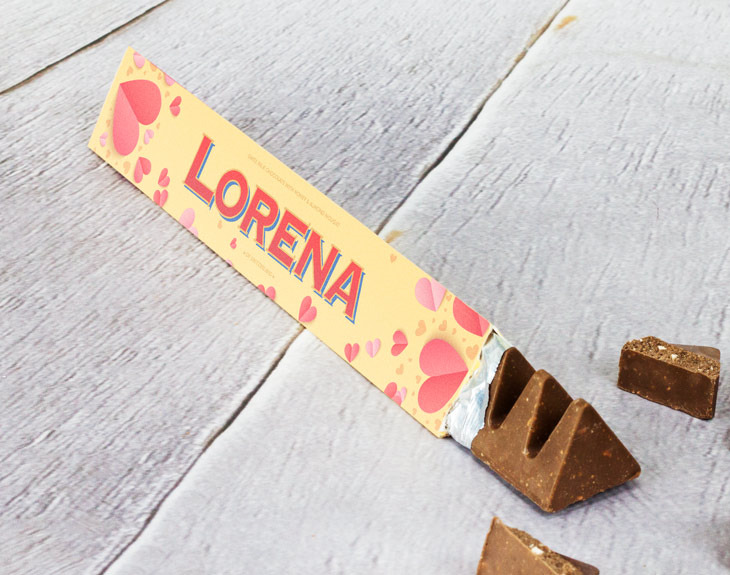 The sides would be engraved with the name, date or text you want. In a world addicted to selfies, giving the option to make Selfies via bluetooth is a fantastic idea. 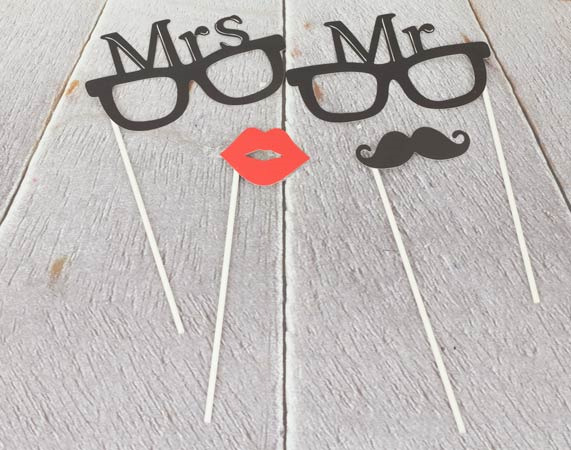 4-pieces props Set, to make your selfies even more fun. Perfect for weddings. A lovely pendant for couples in love: A broken heart with a name engraved on each half. Would you like to be kissed every time? 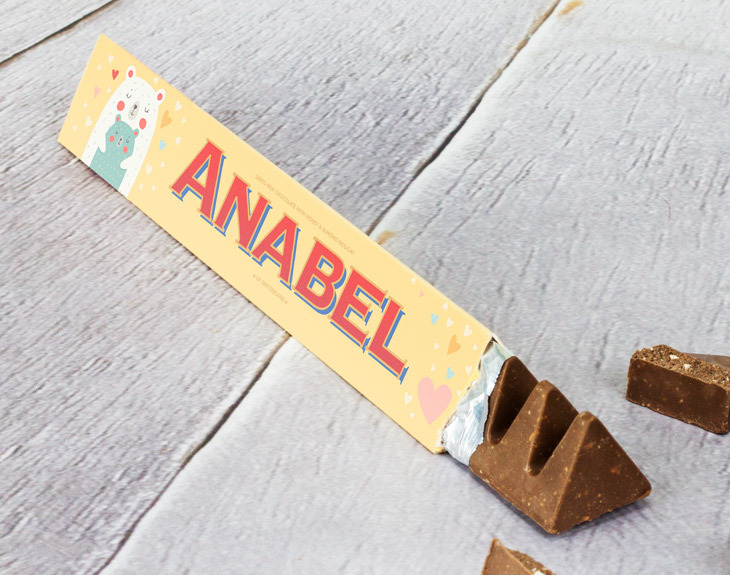 Our Kissy teddy bear would be a perfect ally to start dropping hints. 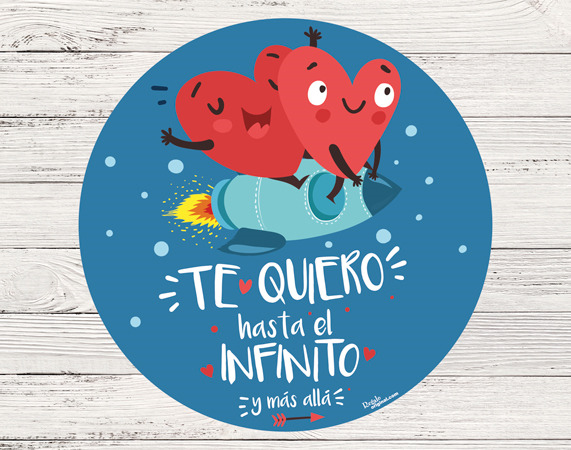 Custom sticker to put on the back of your car. Warn everyone about the importance of being careful. 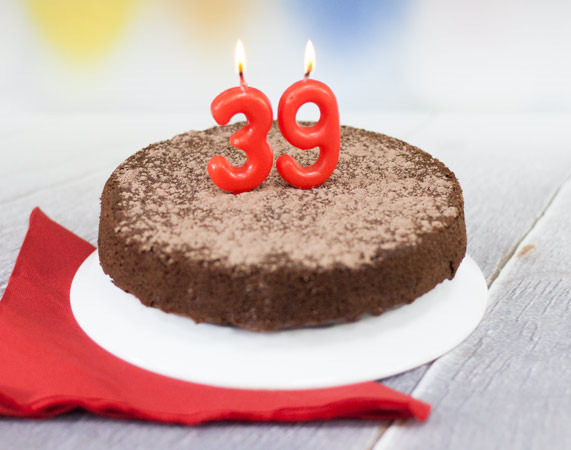 Send your best birthday wishes through this common but also lovely phrase. 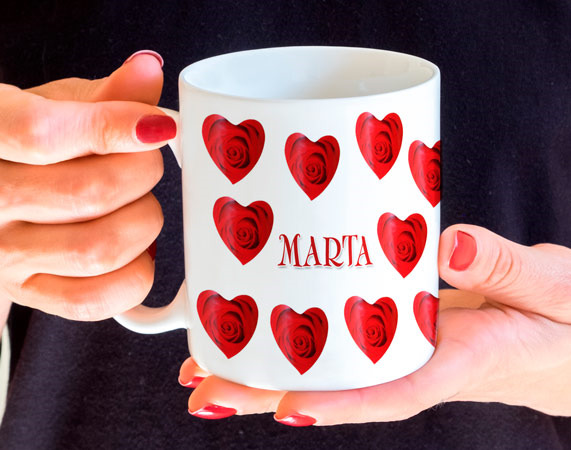 Personalized mug with a handful of hearts and the name you choose placed in the middle. Universal cover for smartphone. 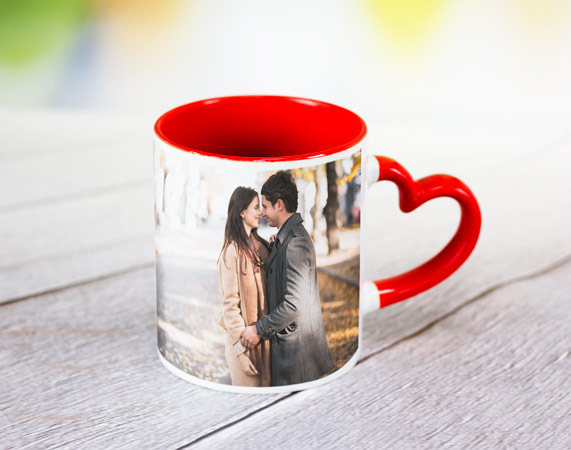 You can customize it with the photo you want. 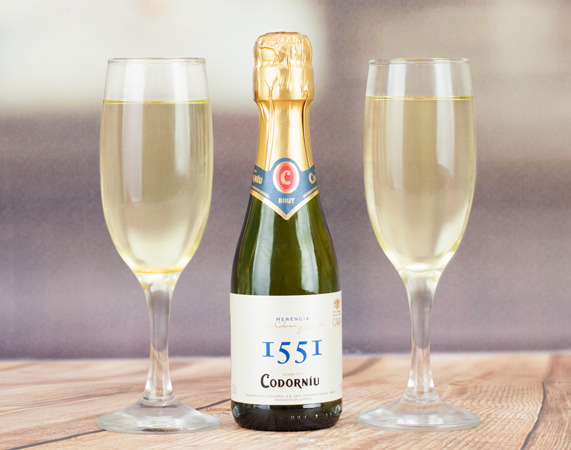 Bottle of wine of 37 cl, perfect for a toast with a special person. 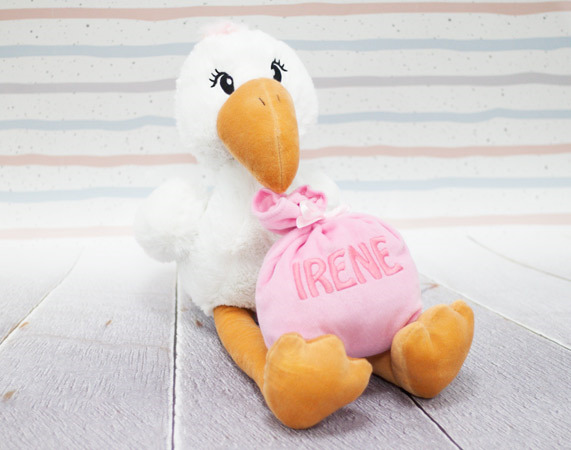 Pacifier personalized with the name of the baby.with the perfect silicone for babies from 0 to 6 months. 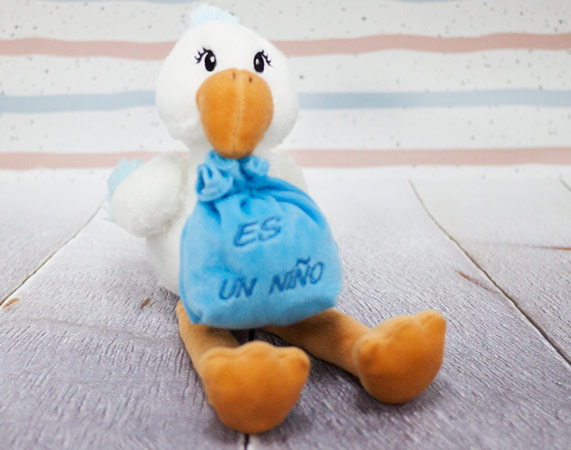 Pacifier personalized with the name of the baby.with the perfect silicone for babies from 6 to 12 months. 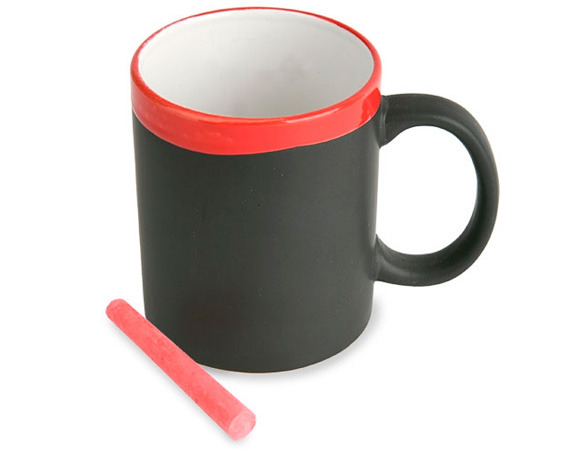 Custom educative plastic mug, with handles and a mouthpiece which help children learn how to drink. 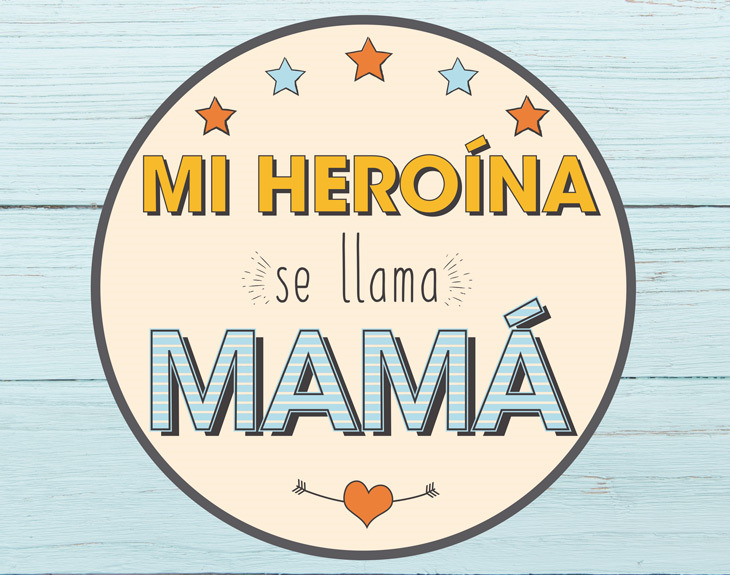 Custom badge with the name of your mom. 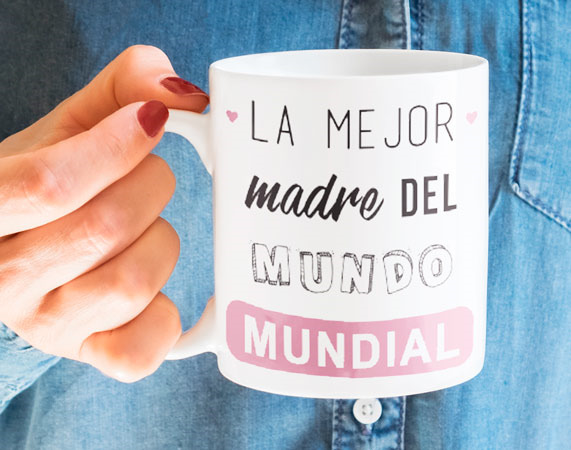 Product intended only for the top-best mothers. Disney princess balloon made for the world's real princesses. Candy bra intended to add more passion to life and make you savour your girl the sweetest way. Candy thong for men. Many guys may love to receive this special gift and explore the many things they can do with it. Candy thong for women. 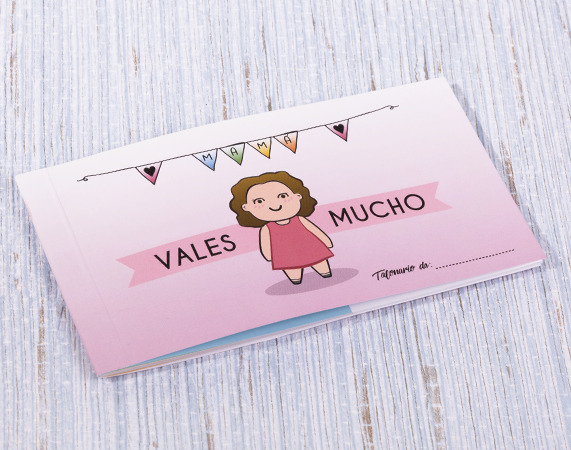 Many girls may love to receive this special gift and explore the many things they can do with it. 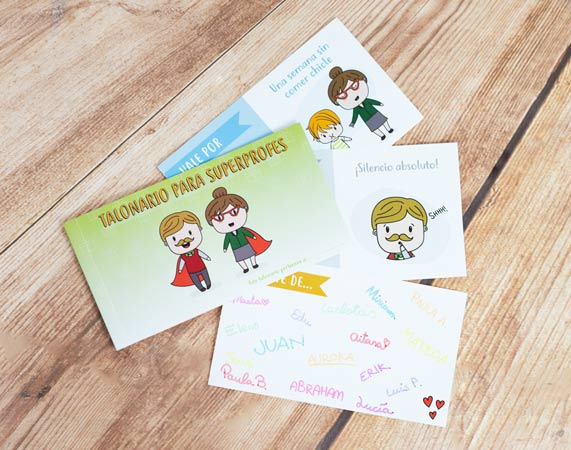 Custom badge with the name of the teacher and all the pupils of your class round him. Personalised badge for the world's best teacher. He/she will surely wear it everywhere. 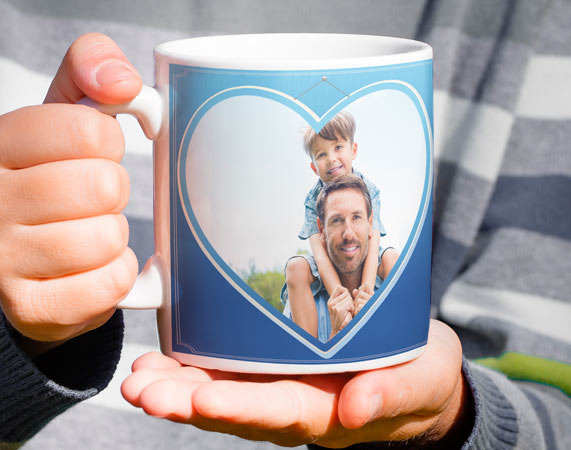 Personalized cushion with the photo or design you choose. Stuffing included! 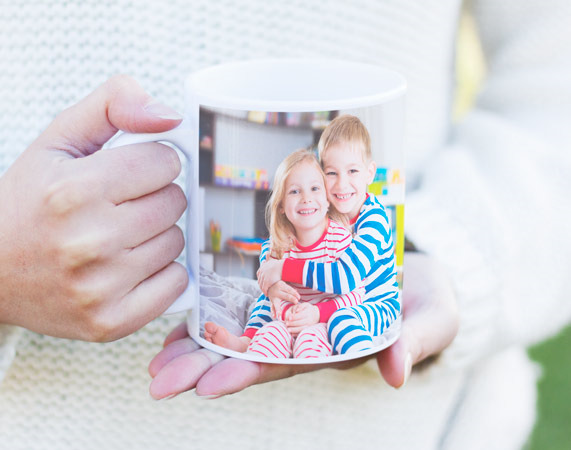 Custom sock with the photo you want, perfect to keep your smartphone in a totally different way. 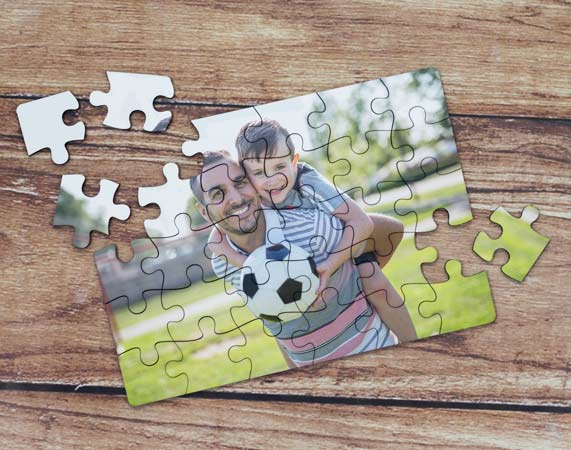 Custom wooden tray with your photo. 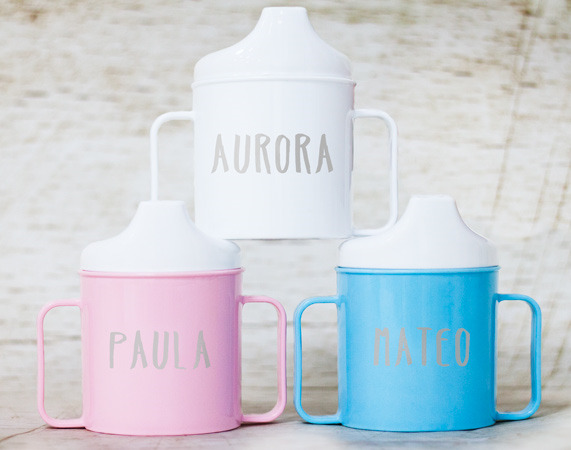 Perfect to carry a breakfast or to decorate the kitchen. 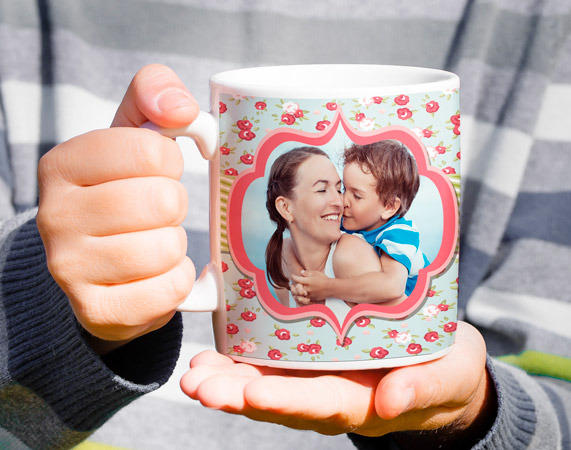 Mug intended to surprise your mom with a photo of a very special moment and a design with adorable little birds. 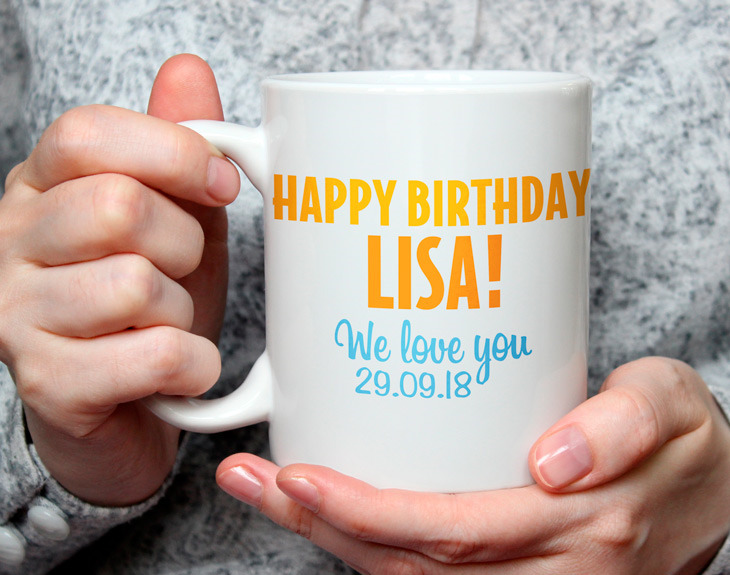 Personalized birthday mug. Put a picture and make of her day something even more special. 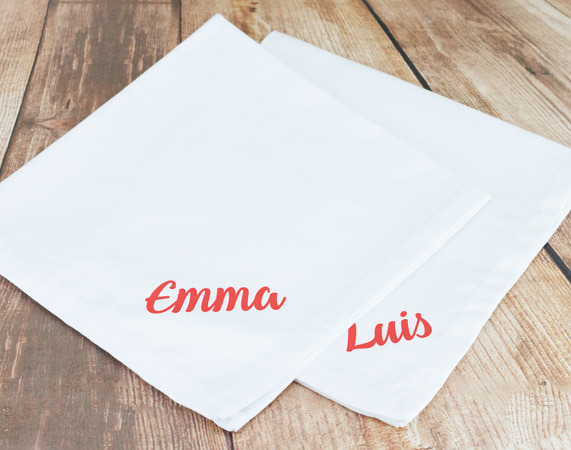 Personalized cloth napkin with the name you want. 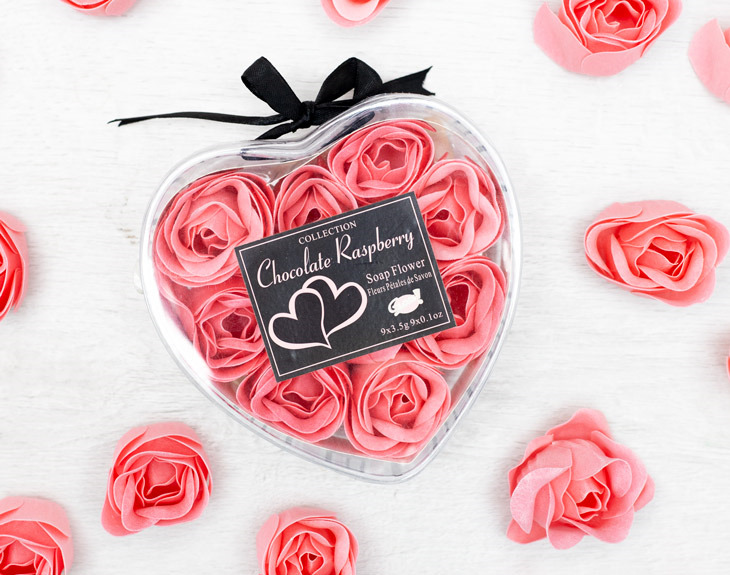 Perfect to add to a breakfast basket or fruit basket. 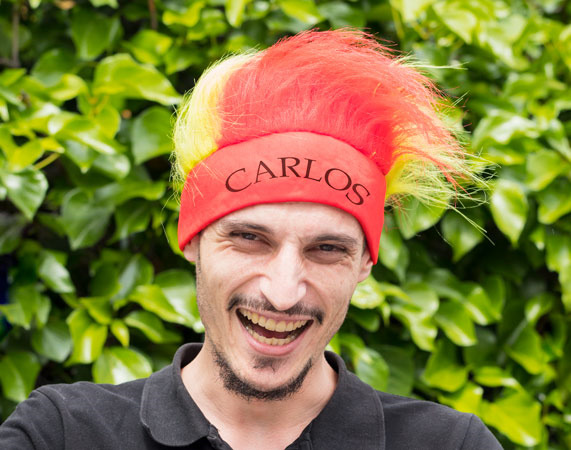 The perfect cap to encourage Spain in any match: football, basketball, rugby or any other sport. 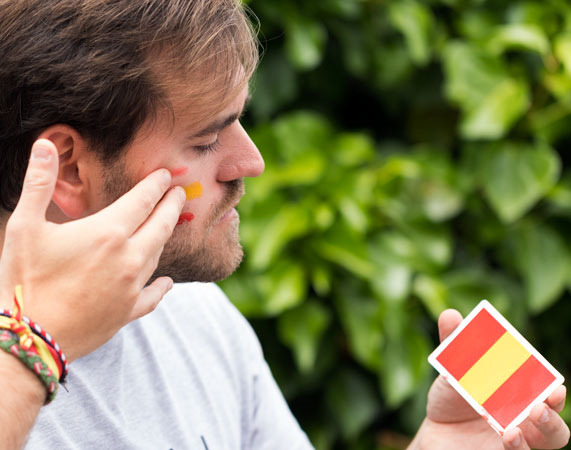 Customize a bracelet with the flag of Spain by putting a name, a date or the text you want. 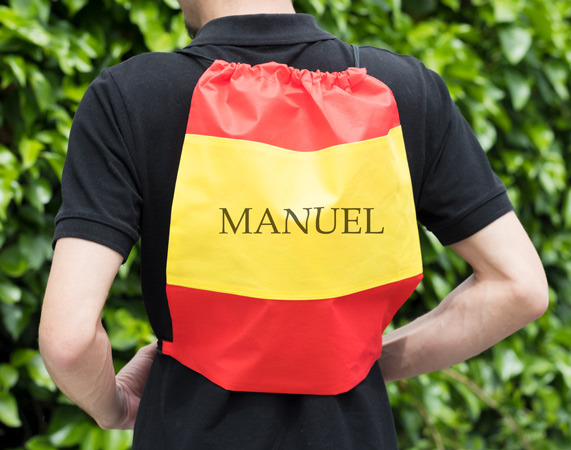 Mini flag of Spain, personalized with the name you want. Get your own ... and cheer up! 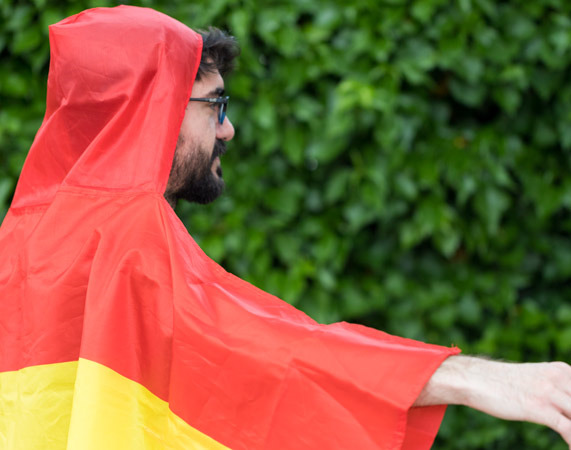 Fantastic poncho with hood and sleeves in case you want to encourage the Spanish National Team wherever you go. 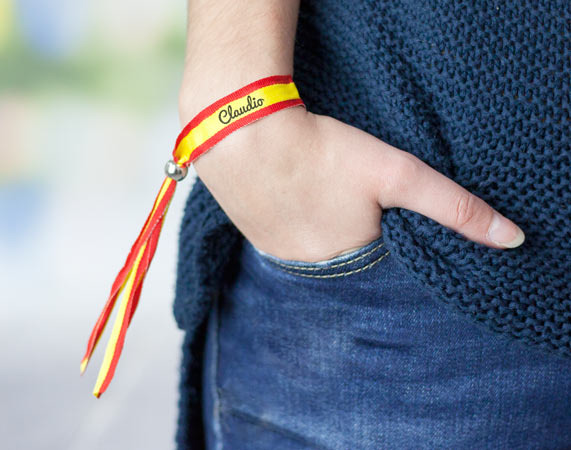 Lovely wristband personalised with the Spanish flag. 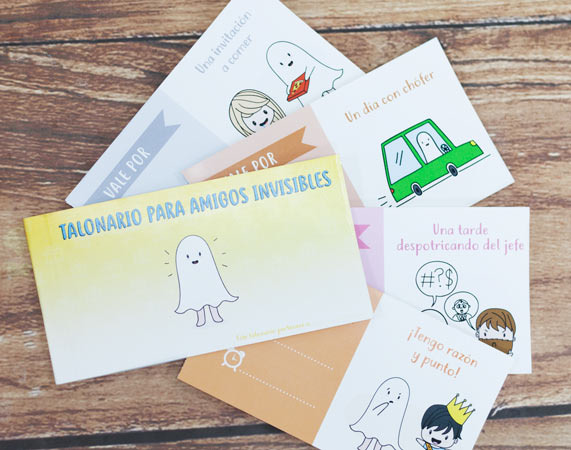 Take this chance to put names, a date or any text you want. 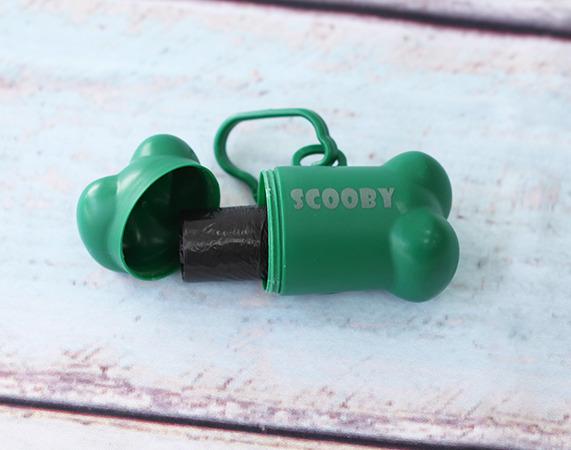 A keychain you'd never get enough of. You can change the photo whenever you want. 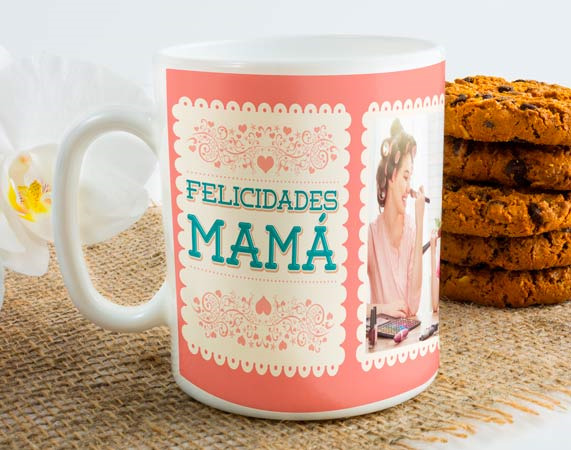 Ceramic mug with a special design to surprise your mom. 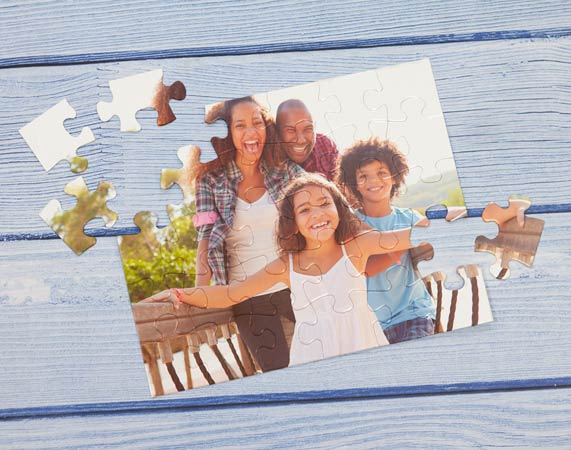 You can place the photo you want in the middle. 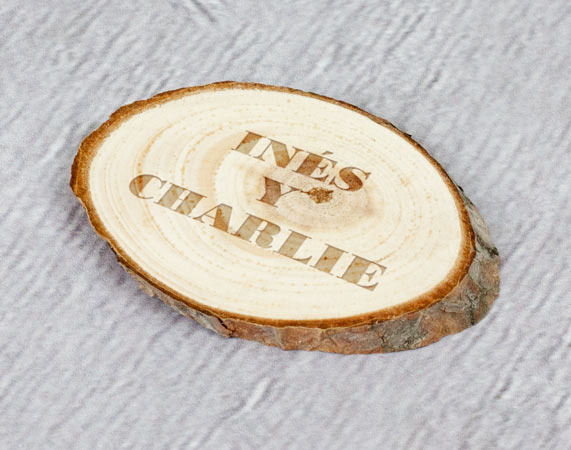 Engraving your names on small wooden tree-trunks, means treasuring a memory for the rest of your lives. 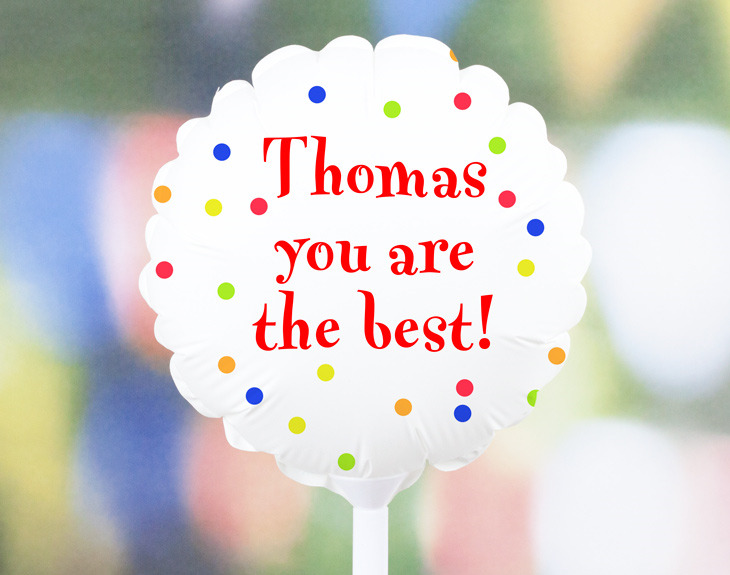 Complete your gift for a newborn with this fantastic cap. 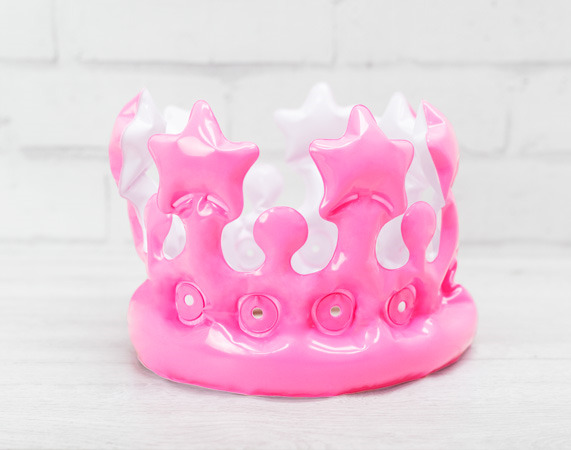 Available in both pink and blue colours. Pink bib in which we embroider the name you want. Perfect gift for a newborn. 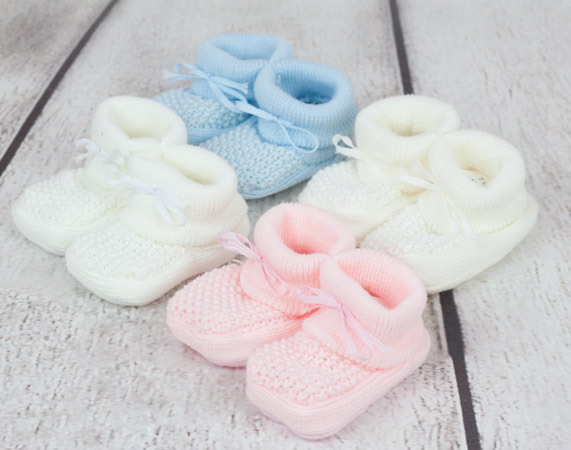 Make the gift for a newborn even more special with these colorful baby booties. With this can stuffed with sweets. 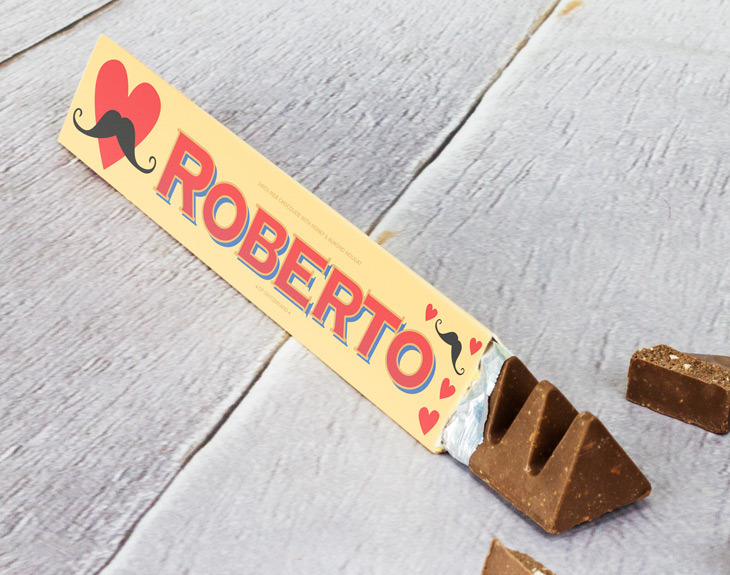 Not only you can choose the type of sweets, but you can have his photo in the label. White slippers to be at home. Perfect as an accessory to a bathrobe or a batamanta. 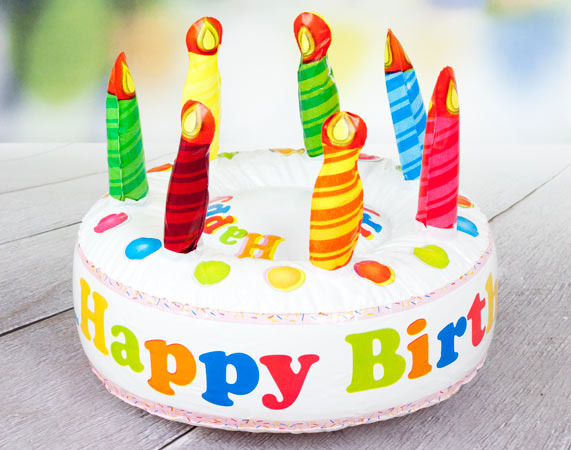 Birthday inflatable cake. 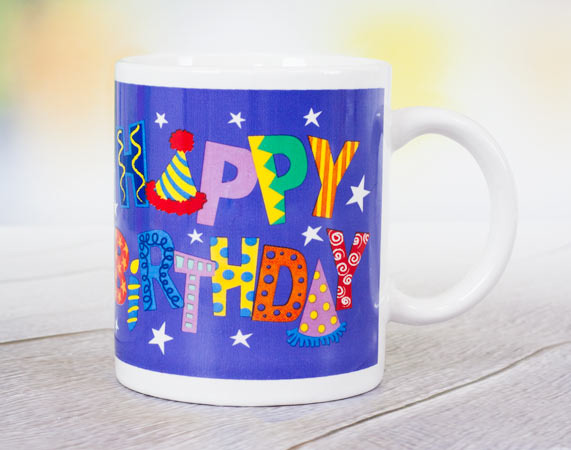 Perfect for those people who love to celebrate their birthday. Blue bib in which we embroider the name you want. Perfect gift for a newborn. 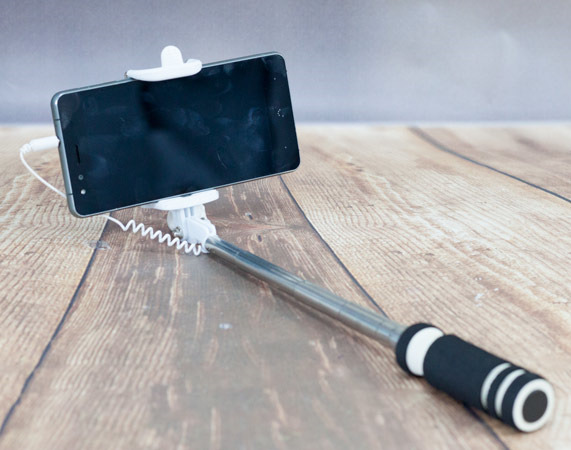 With this selfie stick, self-photos ascend to a new dimension. Perfect for those addicted to instagram. 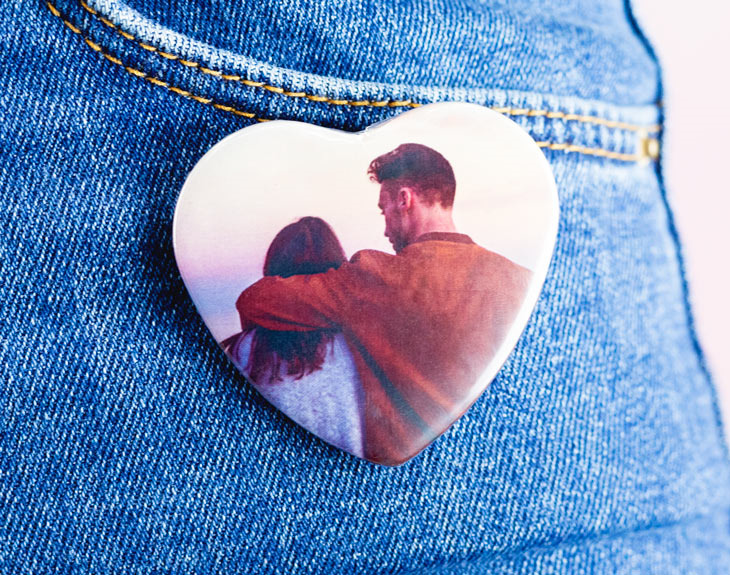 A steel pendant in which to engrave a photo or text on each side. 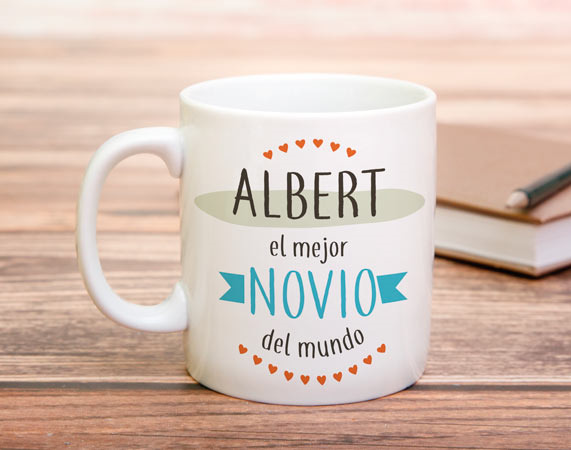 Personalized mug with a name and a lots of scattered small hearts. 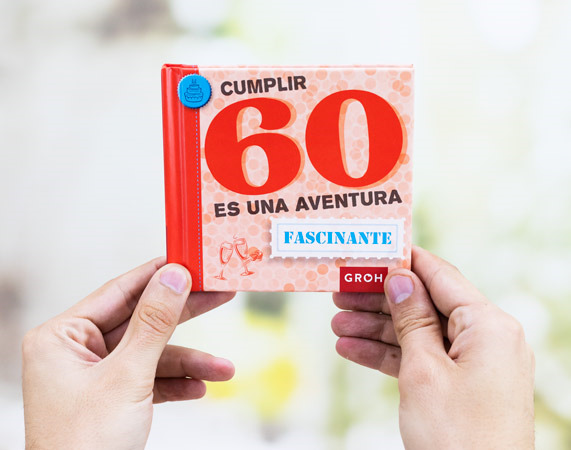 Romantic, fun and unique. 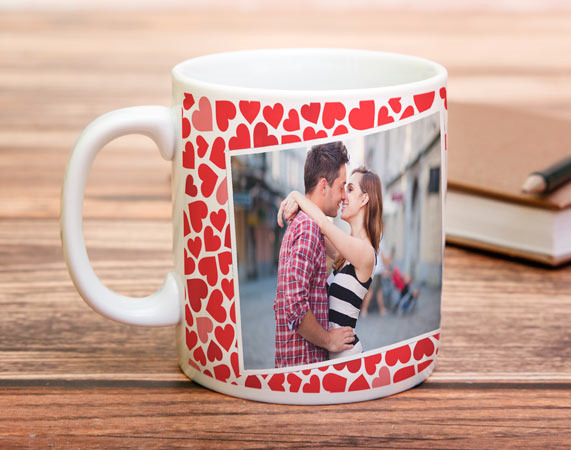 Custom mug with a heart-shaped handle. 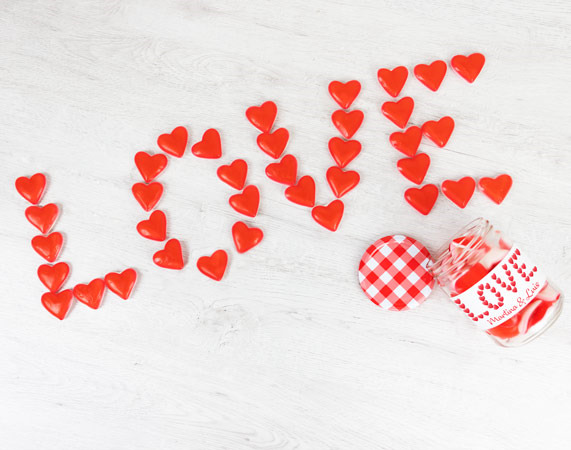 Perfect for your most romantic moments. 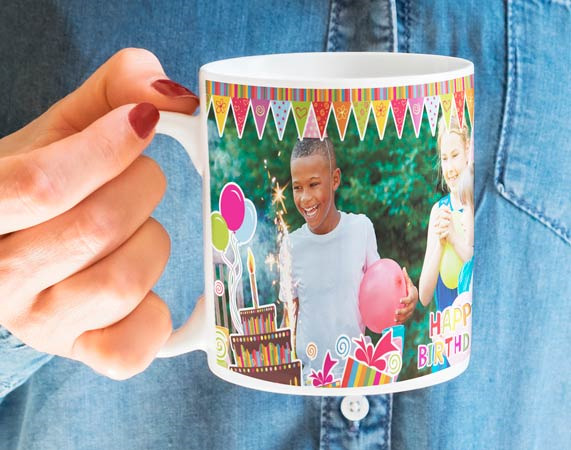 Personalized 23cm-balloon with the photo you want. 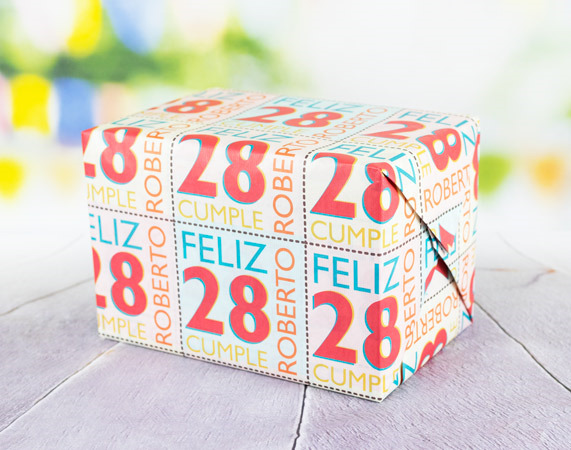 It will make the difference between a good gift and an unforgettable one.